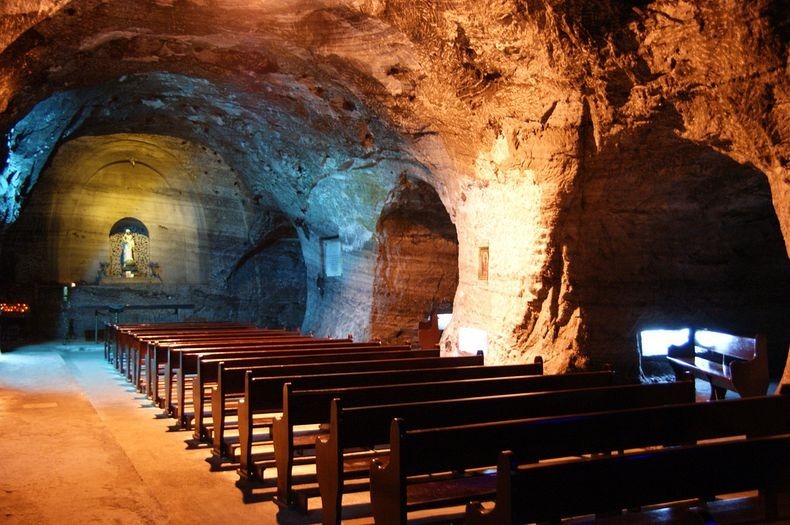 The Salt Cathedral of Zipaquirá is an underground Roman Catholic church built within the tunnels of a salt mine 200 meters underground in a Halite mountain near the town of Zipaquirá, in Cundinamarca, Colombia. Though not as spectacular as the Wieliczka Salt Mine in Poland, it is still a very popular tourist destination and place of pilgrimage in the country. It is also a religious center and one of the most famous Catholic sanctuaries of the country, which commemorates Jesus Christ’s Stations of the Cross.